The U.S. Postal Service has long sold its decision to reduce the size of its physical footprint as a necessary evil, a painful cost-cutting measure required to adapt to the changing landscape of mail delivery. One problem: It did not cut costs. The second phase of the Postal Service’s consolidation plan actually lost money in 2015, according to a report USPS filed to its regulatory body and first reported by Dead Tree Edition. The agency suspended its plan to shutter 82 mail-processing facilities in May, which officials said has prevented the Postal Service from reaping the full benefit of the cuts. In fiscal 2015, USPS spent $130 million on increased transportation costs as a result of the closures the agency did make. It reported a net savings in labor and parts of $64 million -- meaning the Postal Service actually lost $66 million last year due to the consolidation plan. Partenheimer added the savings the Postal Service reaped from the facilities it did close were stunted by the consolidations occurring late in the fiscal year. USPS has already shuttered 141 facilities during the first phase of its “network rationalization” plan, which began in 2012. Those closures generate annual cost savings of $865 million and resulted in “negligible” service impacts, according to the Postal Service. The second phase was made possible by the Postal Service restructuring its delivery schedule, including virtually eliminating overnight mail delivery. The Postal Service said the final consolidations remain in a “deferred status,” though officials initially said they would resume in 2016. Phase two will eliminate 7,000 jobs, according to USPS estimates, while forcing many more employees to relocate. 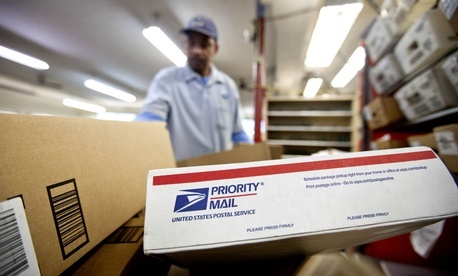 The Postal Service has received criticism for failing to meet its reduced delivery standards and forcing letter carriers out later at night due to the consolidation strategy. Many lawmakers on Capitol Hill have unsuccessfully fought to prevent the agency from loosening standards and closing facilities. A somewhat rosier financial picture for the Postal Service -- driven in part by a significant uptick in package delivery -- has been buoyed by an emergency price increase USPS has had in place since 2013 as a means to recover from losses suffered during the economic recession. After a protracted battle with the Postal Regulatory Commission and in federal court, however, USPS will be forced to lower its prices across the board April 10. Lawmakers have agreed on the need to avoid forcing the Postal Service to drop its rates, and one element of a comprehensive reform bill authored by Sen. Tom Carper, D-Del., would make the higher rates permanent. That measure, however, has yet to make its way out of committee. The Postal Service has estimated it will lose $2 billion in revenue annually by dropping the exigency prices. “Removing the surcharge and reducing our prices is an irrational outcome considering the Postal Service’s precarious financial condition,” Postmaster General Megan Brennan said on Thursday.